Money may be one of the biggest and scariest obstacles low-income entrepreneurs face. A lot of people are put off entirely and think that they can’t raise the funds to start, so they give up. However, this module will show that getting the right funding doesn’t have to be mysterious or complicated. You may find yourself realizing that you need much less than you originally thought you do. Before you start, having a realistic and organized mindset is important. While it is great to be optimistic, you need to be brutally honest about the state of your company and finances. a way to keep track of your expenses and sales? realistic sales goals or other milestones you’re trying to hit in the coming year? an understanding of what you currently spend money on now? an idea of what you will use additional funding for? the loan amount you need? a time frame of when you need funding by? the ability to repay the loan in the allotted repayment period? a credit score? Do you have a good loan history in which you’ve repaid other loans on time? Excel spreadsheets or Google Sheets will do just fine when you first start. Write down EVERYTHING in your budget spreadsheet. Whether it’s paying your employees, space rentals, equipment, etc., know what you’re spending your hard-earned money on. 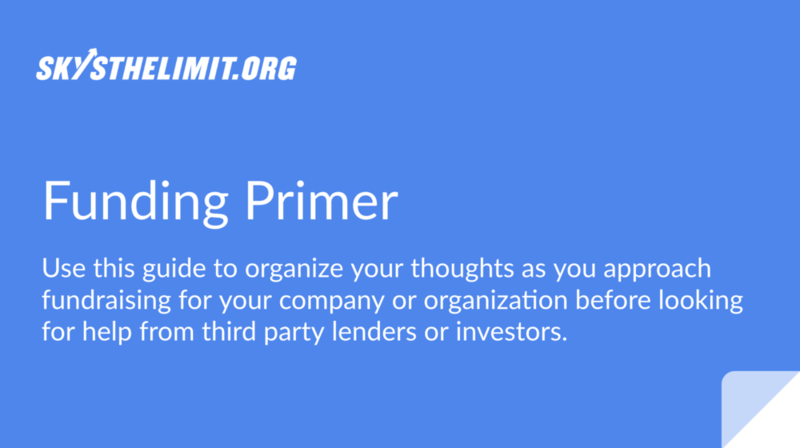 Use this tool to help you with organizing yourself and your business before you go about trying to find outside funding or investors. You can either print the slides or make your own online copy to reference later on.